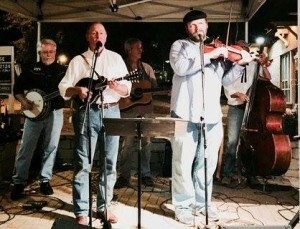 Morgan Creek is a bluegrass/ modern folk band based in Chapel Hill, NC. From traditional standards to bluegrass versions of Beatles tunes, our songs will leave you smiling and remembering that favorite trip to the mountains. The band features the vocals of Kirk Lawrence (also Mandolin) and Clinton Brooks (also Violin).